As the best man, you’re assigned to be the groom’s right-hand man and personal adviser before, during, and after the wedding ceremony. This position also requires you to throw a memorable bachelor party for the groom. Mind you, this type of party has a reputation for enabling men to do stupid things that may lead to disaster. In some ways, it’s true. This wasn’t always the case, as early accounts of bachelor parties were simple dinners to celebrate the groom’s marriage. It just goes to show that you don’t have to plan a day filled with ridiculousness to impress the groom and your buddies – but you do have to make it unforgettable, as this is a special occasion for your buddy. Here are epic bachelor party ideas everyone will enjoy. There’s something about the sunny and warm atmosphere of beaches that make for a good time. Beach bachelor parties are a great way to either relax on the sand or be active with your buddies with a few rounds of volleyball or surfing. You don’t have to go out of the country to find a beautiful place, either. Many cities like Fort Lauderdale and Santa Monica offer nice sceneries and seafood that the whole squad is sure to love. If you want your groom to experience something truly memorable, try skydiving. It’s a grand way to face the great unknown, even if you don’t have a fear of heights. However, not everyone loves the rush of freefalling. If you want to step things up a notch without having to freefall, reserve a session on a zero-gravity plane. Companies like Zero G offer plane rides that reach a high enough altitude to make everyone in the cabin weightless. You’ll feel like astronauts floating in space for about seven to eight minutes before being subjected to the irregular forces of gravity again. It’s an experience like no other. The best parties are often the simplest (though some may argue that it’s lame). If the groom doesn’t want you to go all out for the bachelor party, you can always plan a relaxing day for the squad. After all, who doesn’t want a day of rest and relaxation? Treat the pals to a spa day. Try out different therapy methods like cupping or acupuncture. Who knows, you might even meet the bride and her crew there! Want to reach a new level of chill? Fire up the old game console and have a whole day dedicated to video games, junk food, and a bit of booze. Set up an NBA 2k or FIFA tournament and have everyone contribute to a prize pot. You’ll have the best night of your lives cheering and trash-talking like the old days. A bachelor party is (at least, for most) a once-in-a-lifetime event for the groom. So it doesn’t hurt that you spend a lot of cash on that one day. If your friends are alcohol enthusiasts or they just like to drink, register for a wine or beer tasting session. It’s a great way to learn the nuances of different brews and spirits. You can even arrange for a cigar rolling event to make the day extra special. Cap the day off with a steak dinner, and you’ll all be ready for the ceremony the next day. 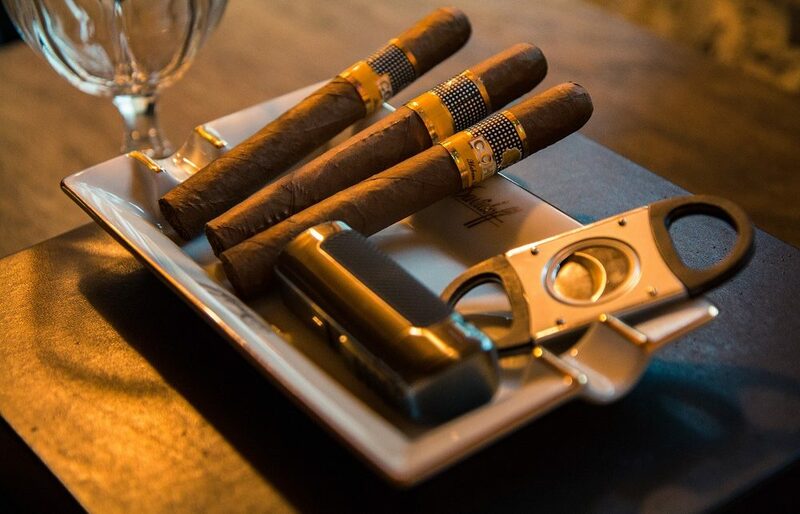 Talking about cigars, the best man should never settle for less when it comes to cigars. Here at Cigar Stud, we hand-craft your cigars to perfection. Our live cigar rolling events are a one-of-a-kind experience that you, the groom and all your friends will love. We have partnered with Cremo Cigars to make sure you’re getting a smooth smoke every time. The bachelor party has many interpretations. For some, it’s letting loose and being ridiculous because it’s the would-be groom’s last day of being a “free man.” Others use it to celebrate the start of the groom’s journey into marriage. Both are perfectly acceptable. As long as you’re taking everything in moderation and you have each others’ backs, it will be a night worth remembering for a lifetime. And if you want that cigar-rolling event to be part of your party, call us now to request a quote.